London - The goalkeeping coach of the England women's team resigned on Thursday following claims from Eni Aluko that he repeatedly addressed her in a fake Caribbean accent. England's Football Association said Lee Kendall had stepped down despite an investigation concluding no further action needed to be taken against him. Former England women's head coach Mark Sampson was found to have made racist remarks to players Aluko and Drew Spence in an inquiry that concluded last month. "The FA has completed its investigation into allegations made by Eniola Aluko regarding Lee Kendall," the FA said in a statement. "The investigation has now concluded and it was decided that no further action was necessary. "Despite the FA's conclusion, Lee Kendall has decided to resign from his position as goalkeeping coach of the England Women's senior team. "It is Lee's choice to focus on the future and on pursuing his career elsewhere. We wish him well for the future." 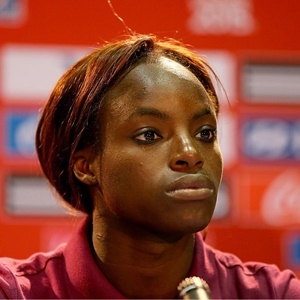 Chelsea Ladies striker Aluko, who is of Nigerian descent, made her claims about Kendall during a review of the culture within the England set-up. Last month, the FA apologised to Aluko and Spence, who is mixed-race, after a report by barrister Katharine Newton found Sampson had made discriminatory remarks towards them. Sampson was sacked in September after it emerged he had engaged in inappropriate behaviour with female players in a previous role.